PART I: Want a Fabulous Wedding? It’s not rocket science, it’s a wedding planner! I may as well point out the obvious; I am writing a blog post about the value of wedding planners and look-dee-doo, coincidentally, I am a wedding planner. If you would like to disregard this post as biased and uninformative feel free to return to your google home page, if not I promise to be comedic and entertaining along the way. I have written this to be an entertaining three-part series to help brides understand what wedding planners are all about, what you need to know, and how to pick one. 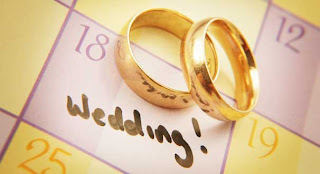 Do you need a wedding planner? Do I need a wedding planner? Every female in this world needs a wedding planner because as much of a super woman as I know you are, you still can’t be in two places at once. Even with wedding planners, no matter how unbeatable their expertise is, they have either hired a wedding planner for their wedding or plan to in the future. You simply cannot oversee setup and be walking down the isle at your ceremony at the same time. Therefore, the question isn’t if you need a wedding planner, instead you should be deciding how involved you need them to be. A good wedding planner pays for themselves. An experienced one will have venders that they prefer working with because of their dependability, quality and work ethic. Because of these relationships the wedding planner will be able to negotiate much better rates than you would have otherwise. If you consider your time to be money as we do, you will save tremendous amounts of money on working with someone who knows which venders are the best and which aren’t. They will also know all the secret tricks and efficiencies to get the best job done. There you have it; a wedding planner is a MUST and at the end of the day they are basically free. If you feel like a planner may be worth your while stay tuned for part II to discover what kind of bride you are and how much help you will need along the way!